Let it Ride is a variation of poker, except that the Player plays against the house and does not compete against the Dealer or other Players. Let ’Em Ride is dealt from a single deck of 52 cards. The Player is dealt three cards face up and two cards are dealt face down in front of the dealer – these are community cards that are used to complete the player’s hand. 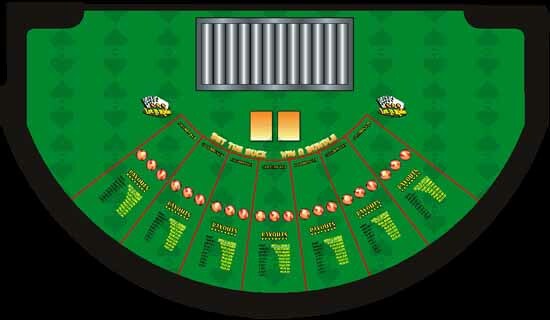 The objective of the game is to get any winning poker hand consisting of a pair of 10’s or higher, using all five cards.